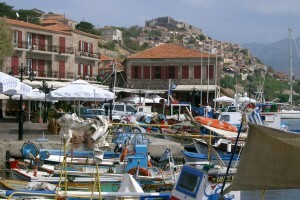 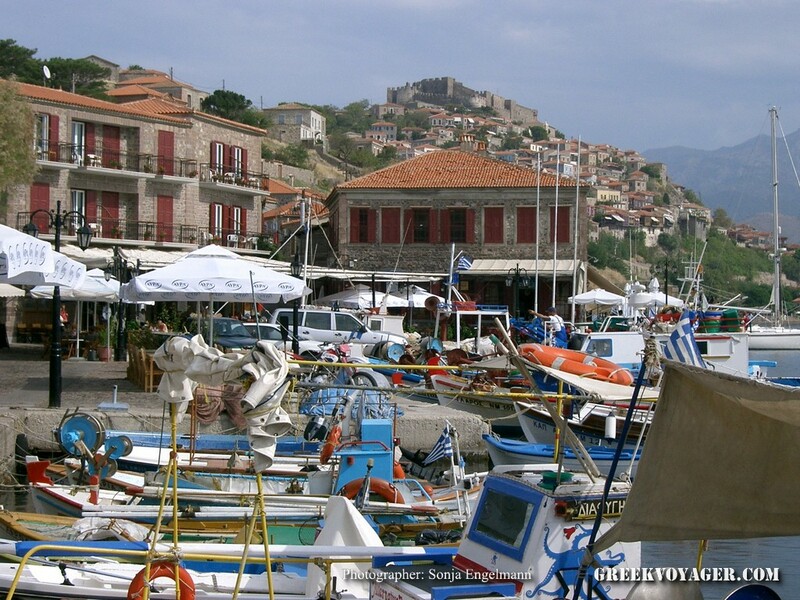 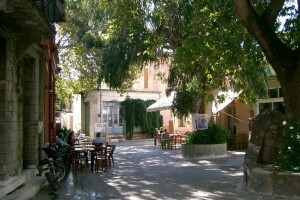 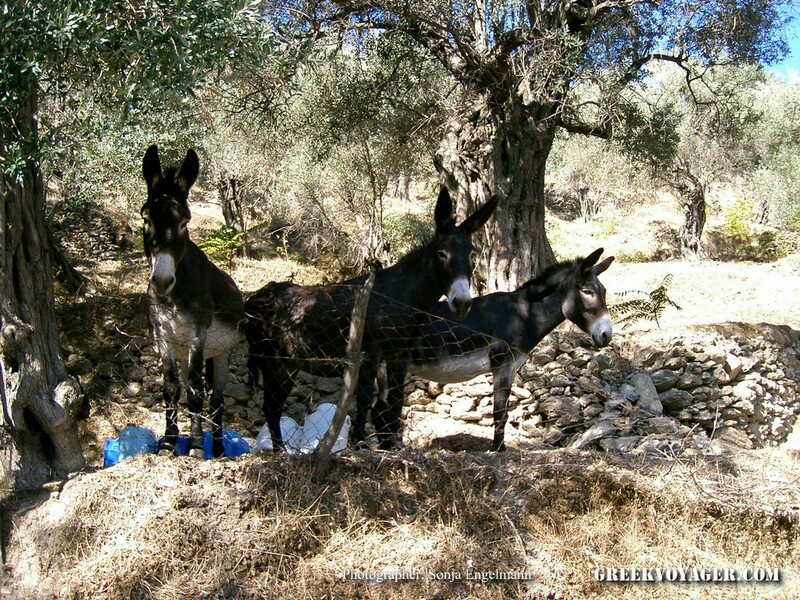 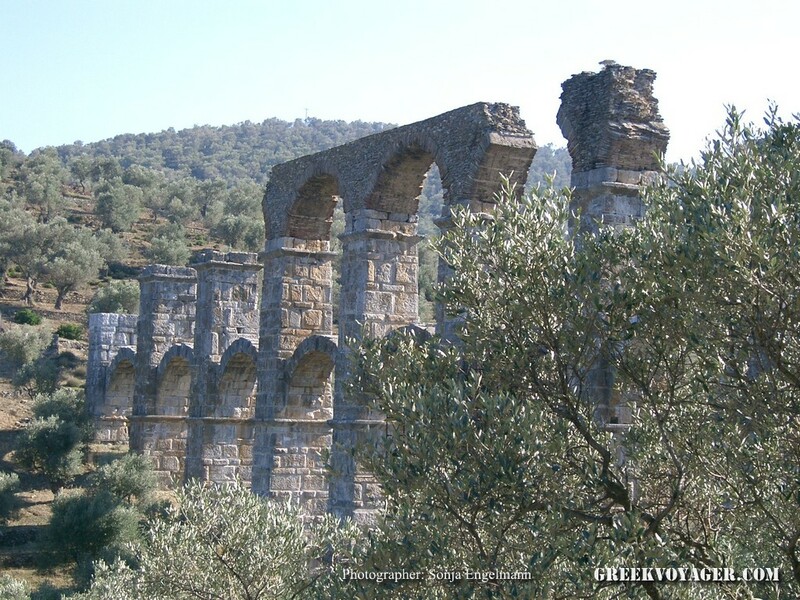 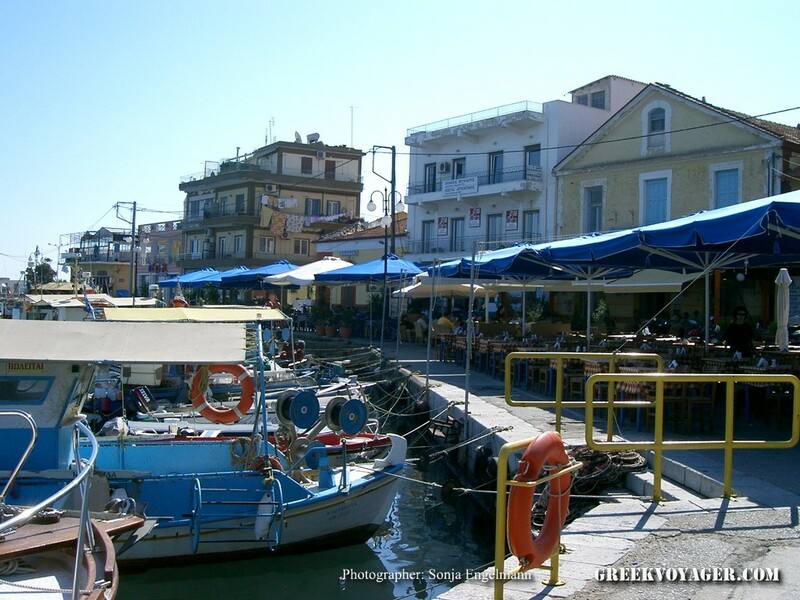 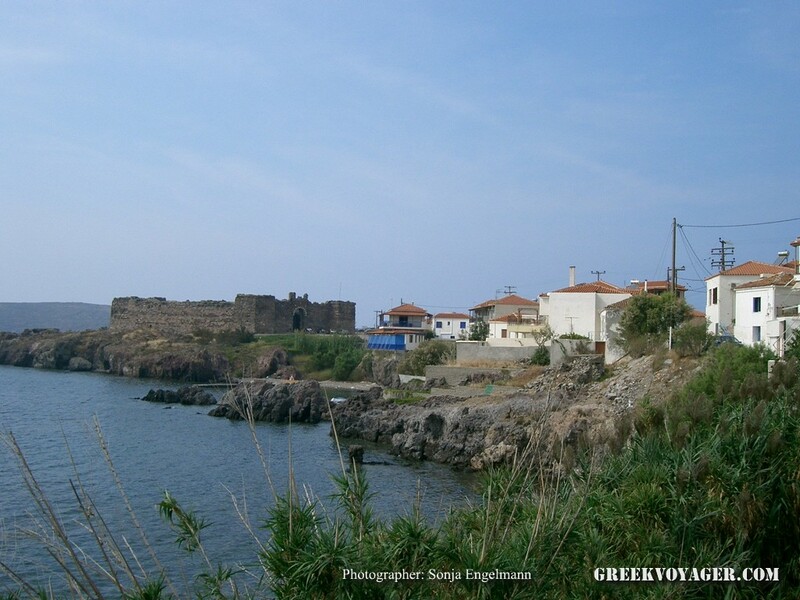 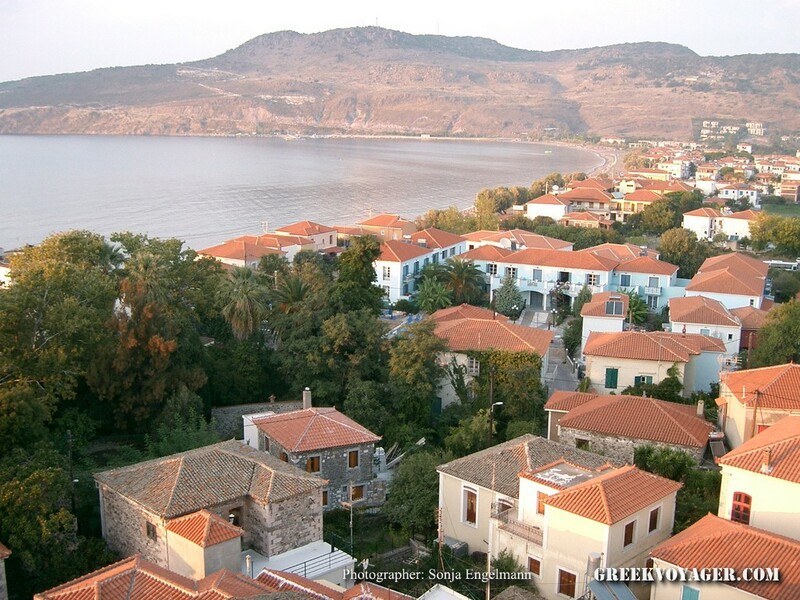 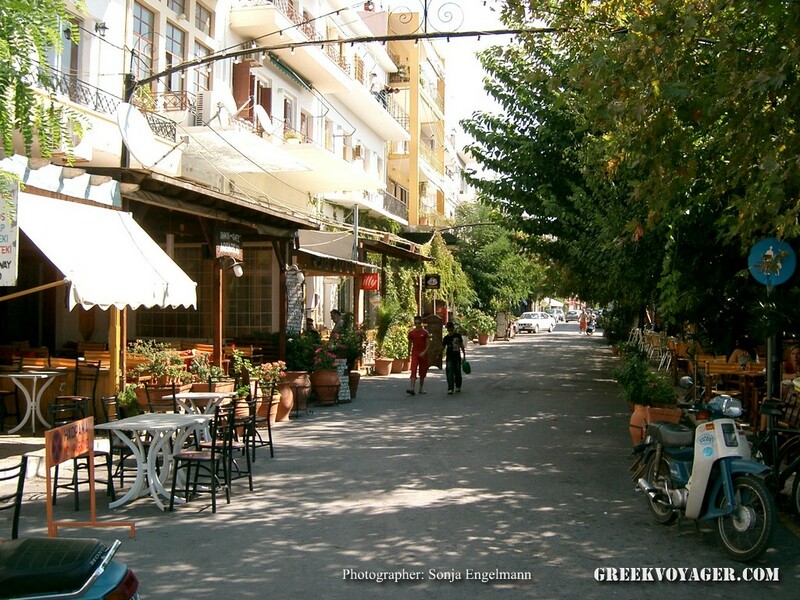 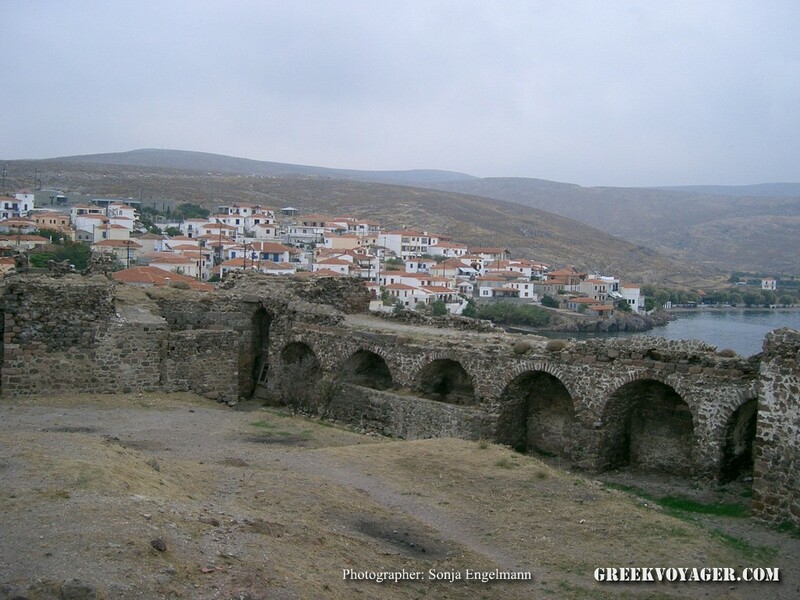 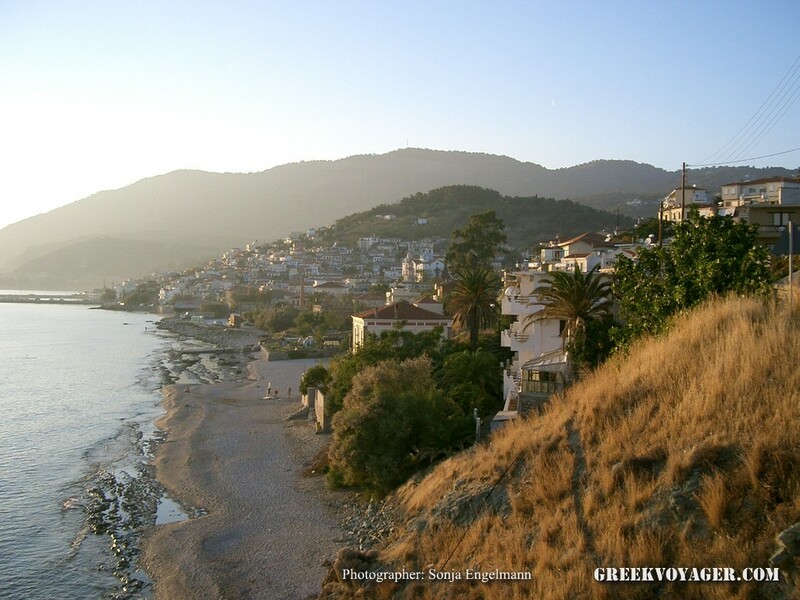 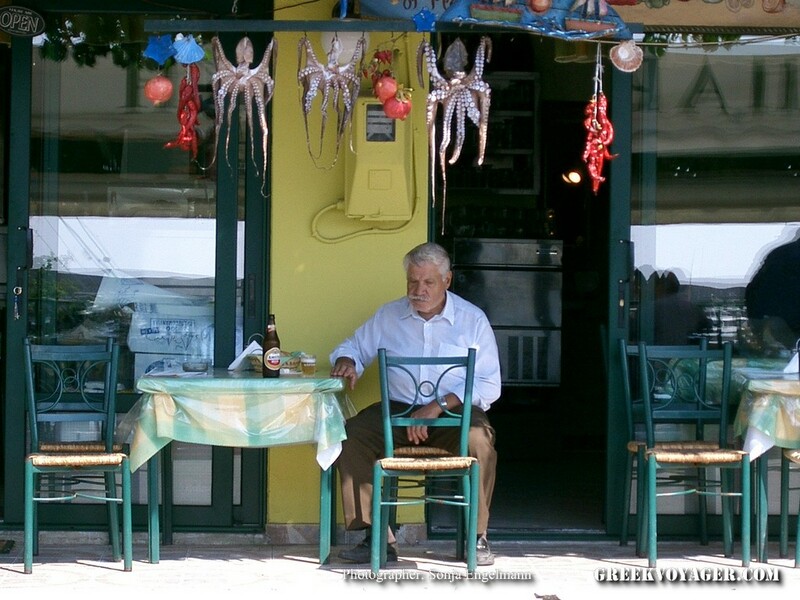 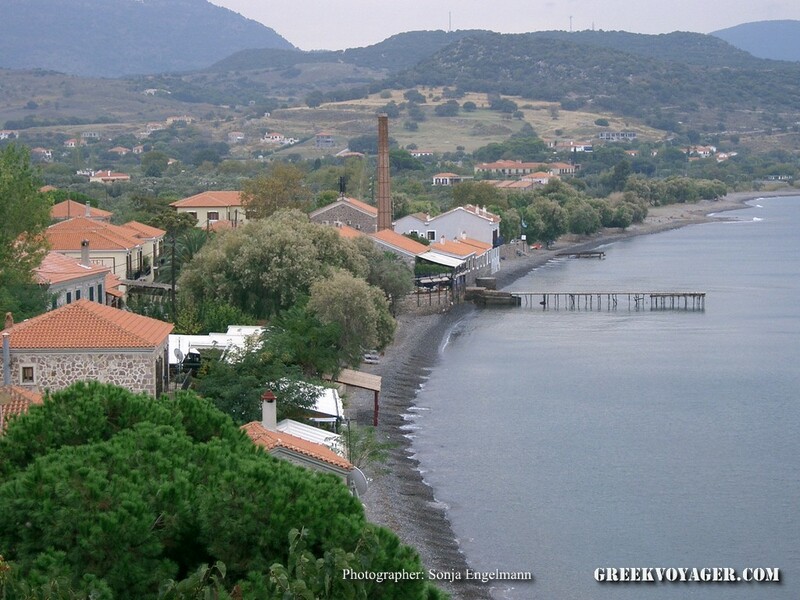 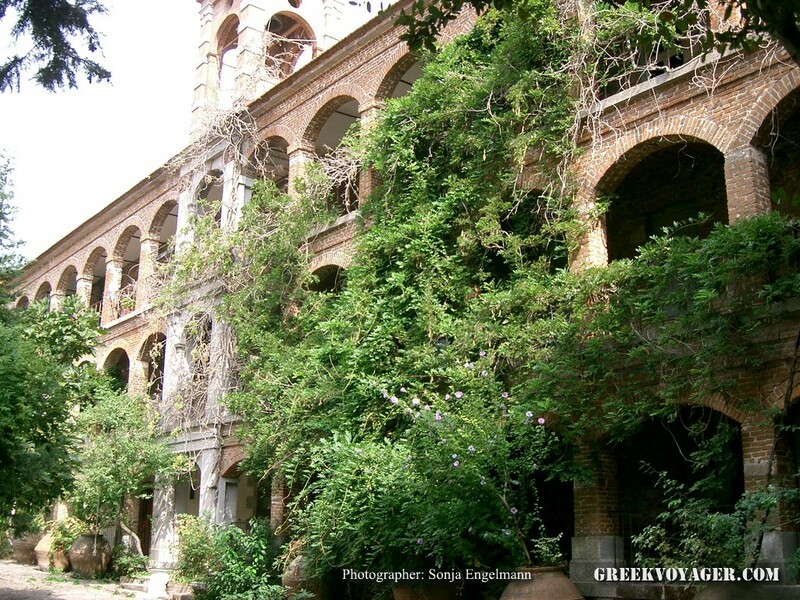 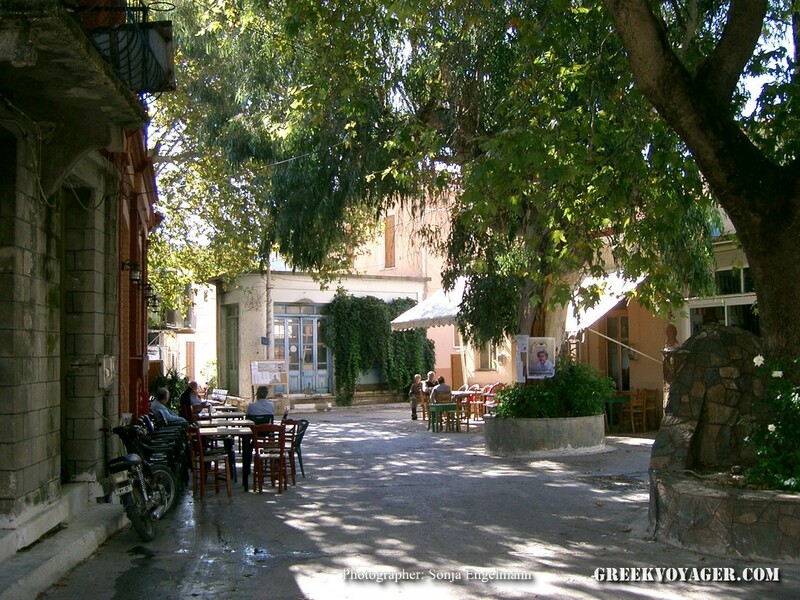 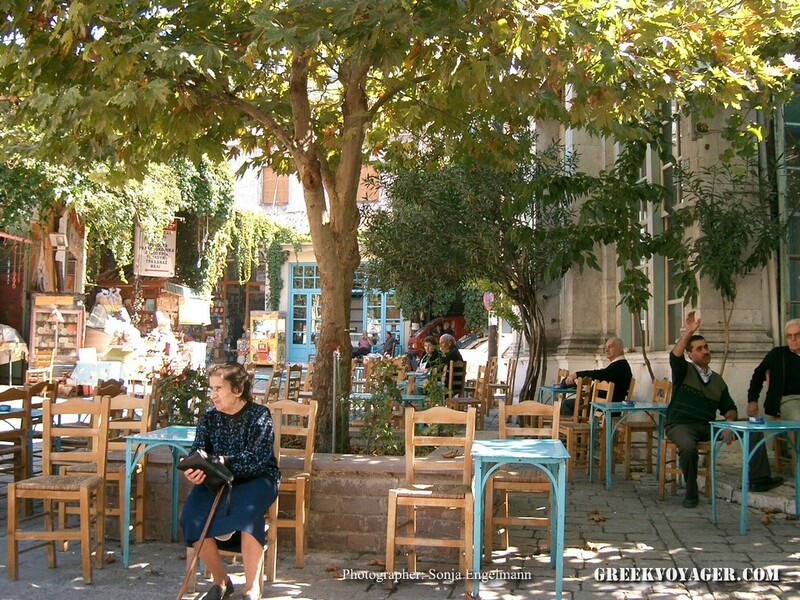 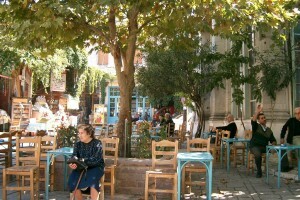 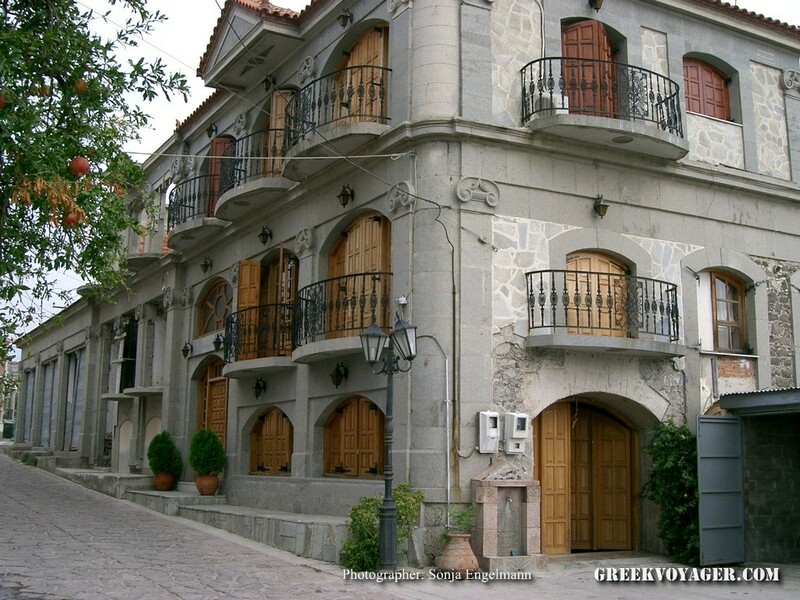 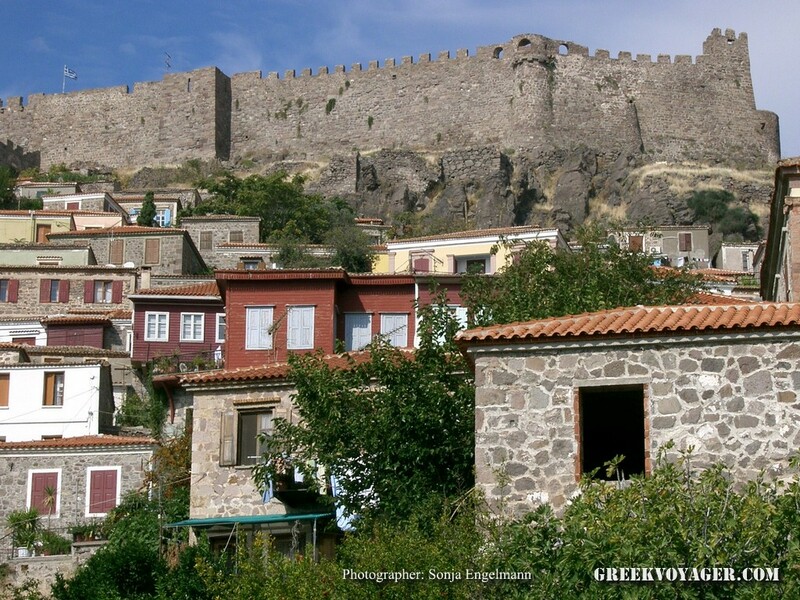 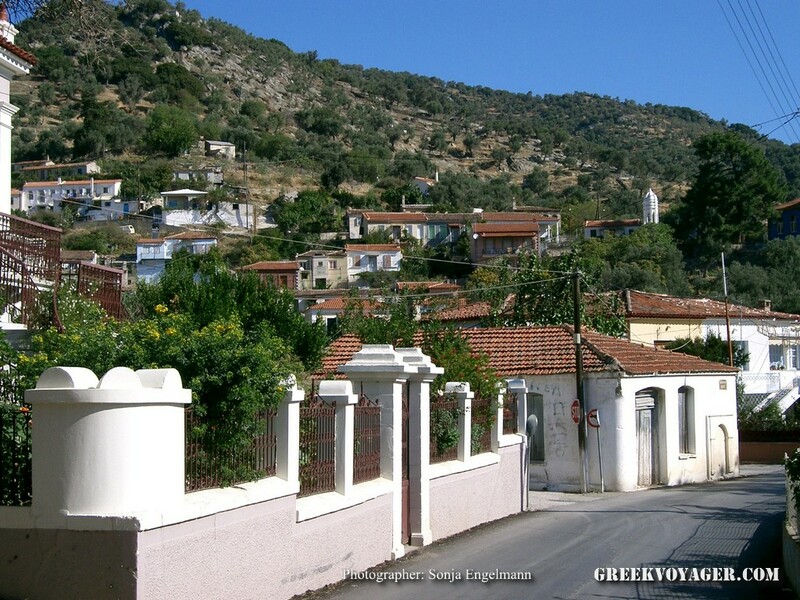 Lesvos is the third largest island in Greece, located in the northeastern Aegean Sea. 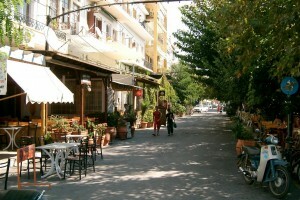 It has an area of 1.630 sq km, a length of 70 km and a width of 47 km. 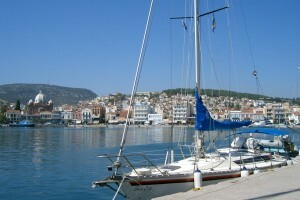 The sea strait of Mytilene, between the east coast and the coast of Asia Minor has a length of 30 nm and a width of 2.5 to 8 nm. 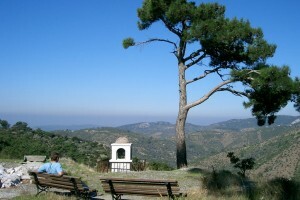 The highest mountains are Lepetymnos, at a height of 968 m in the northern part of the island and Olympus, with the same height in the southern part. 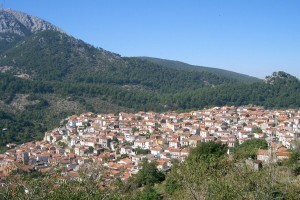 About 17% of the territory is covered with forests. 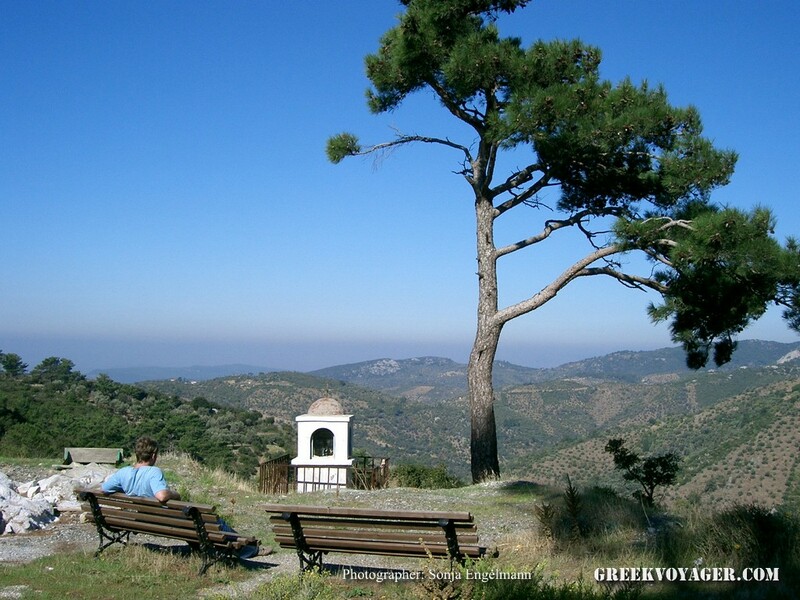 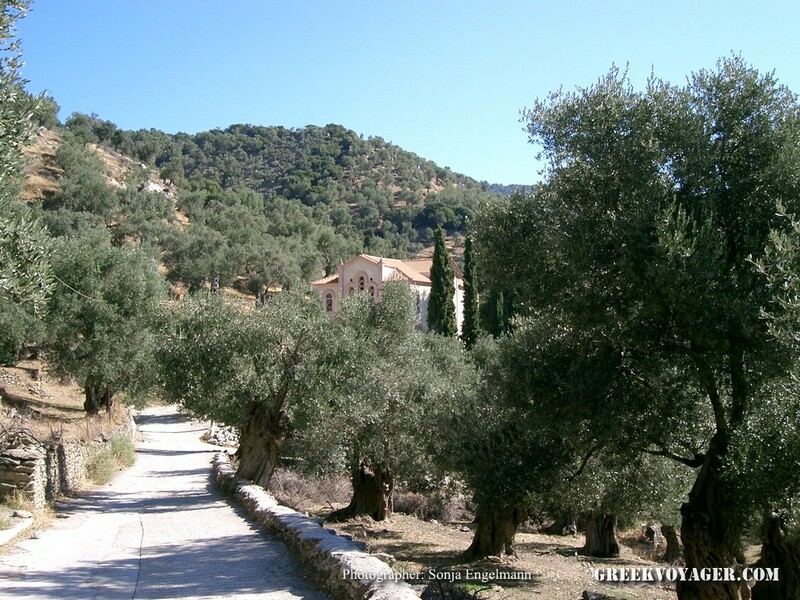 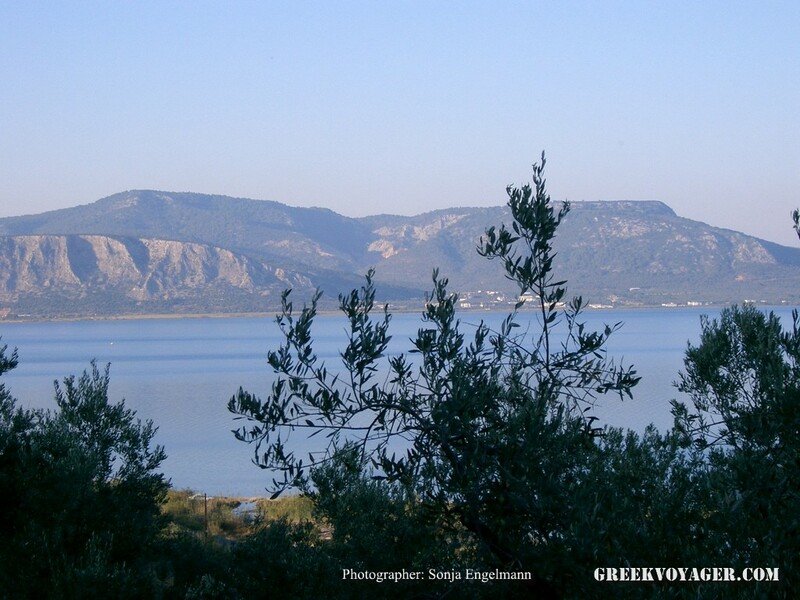 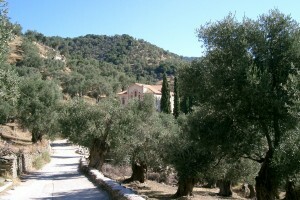 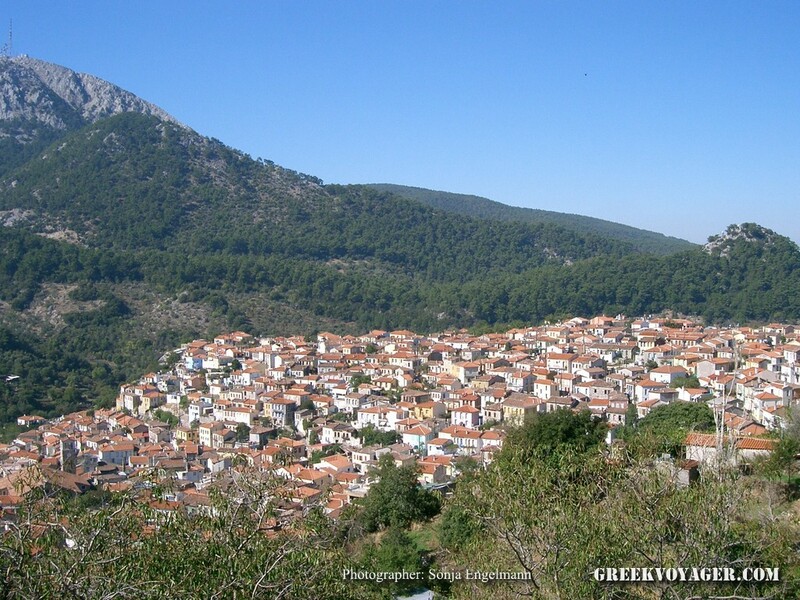 Small mountains are alternated with plains, where there are great olive groves, mainly in the east. 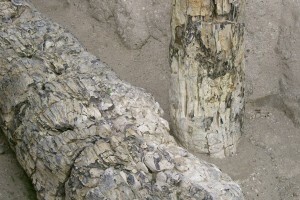 Most rocks are volcanic. 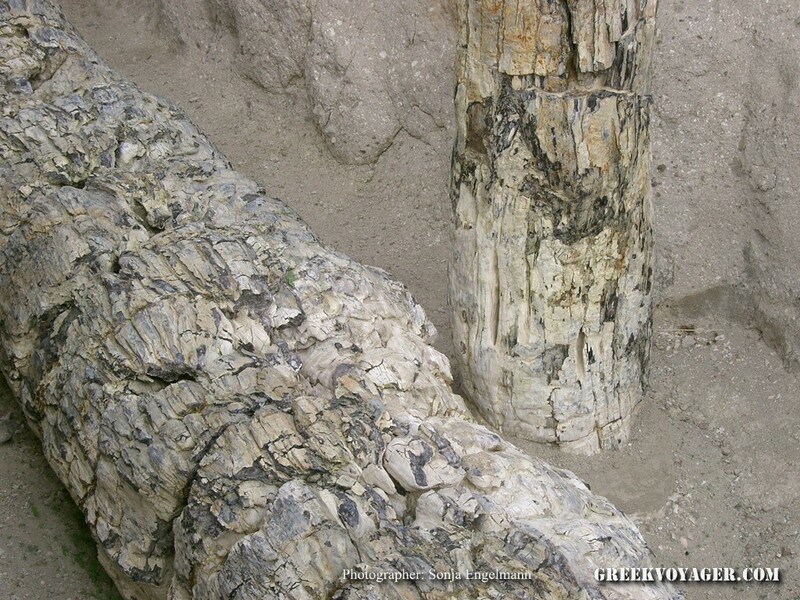 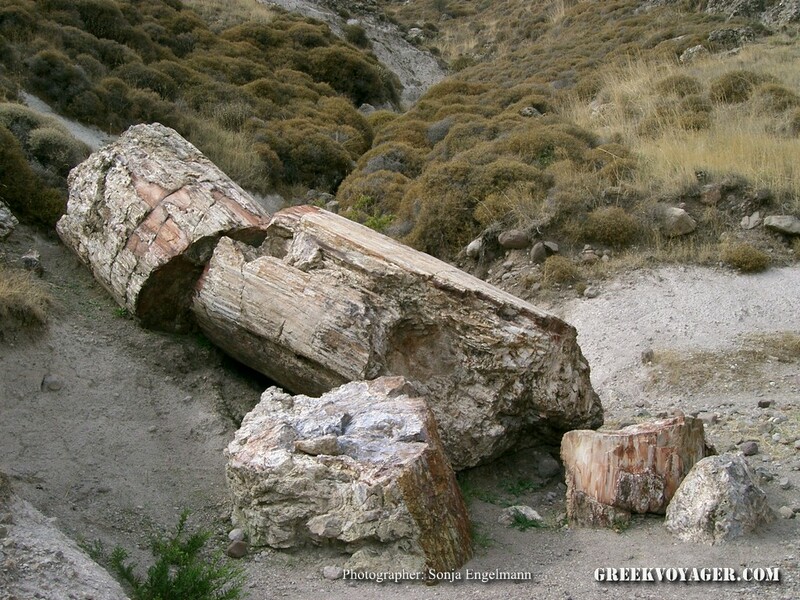 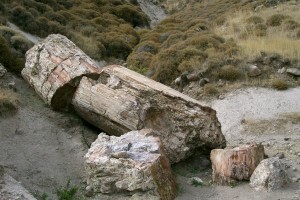 On the west side, near Sigri, there are the famous petrified forests – fossilized tree trunks, a remnant of geological evolution. The coastline has a length of 370 km. 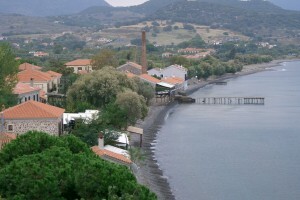 The coasts are lacy with numerous bays and capes. 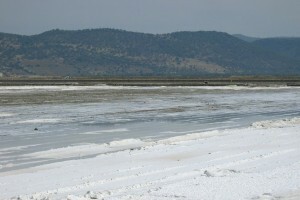 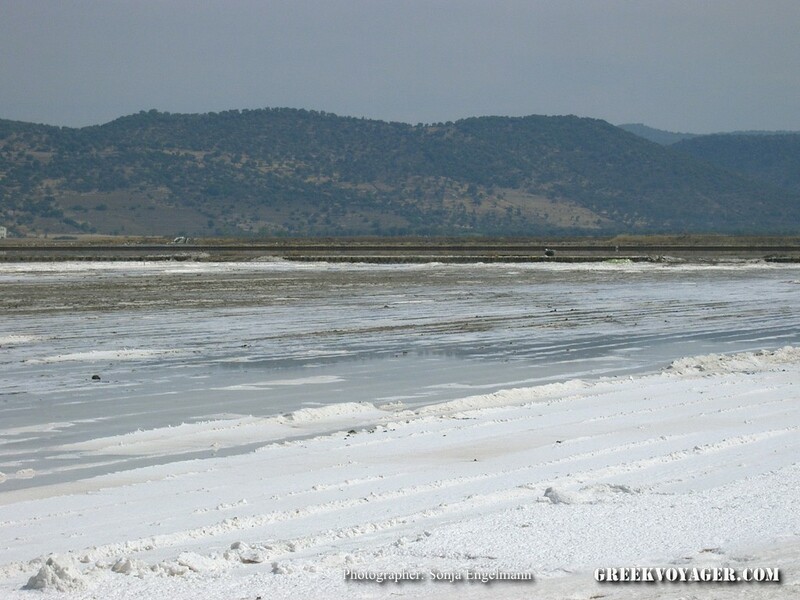 On the south side, the large gulfs of Kalloni and Geras are formed, looking like lagoons. 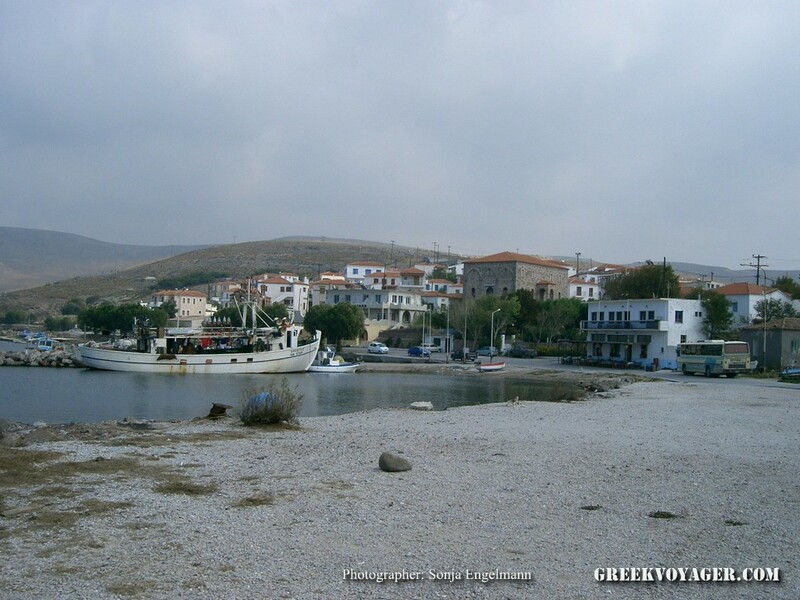 They are great fishing spots. 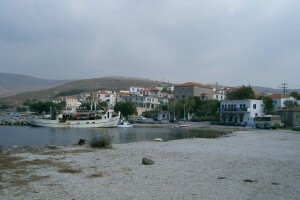 Near the coasts, there are many islets. 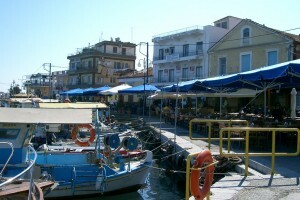 The island offers many and varied vacation options. 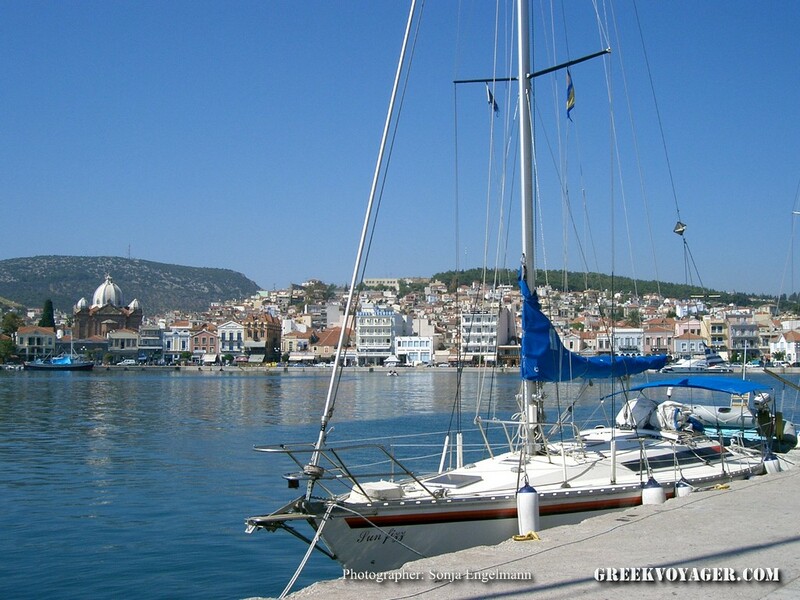 The capital Mytilene, in the southeastern coast, is one of the most beautiful and historic Greek cities and major port, at 188 nm from Piraeus. 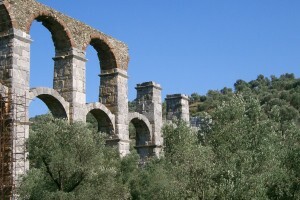 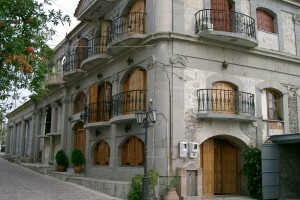 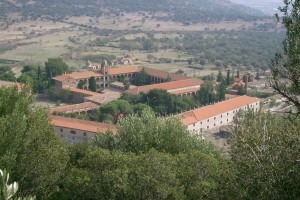 It is located in the same place with the same name from antiquity. 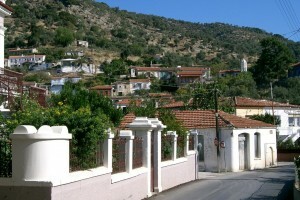 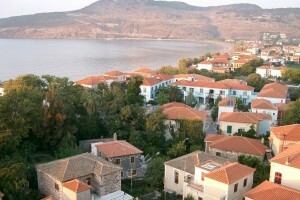 The largest and best known settlements of the island are Aghiassos, Plomari, Polichnitos, Kalloni, Aghia Paraskevi, Eressos, Sigri, Andissa, Petra, Molyvos and Mantamados. 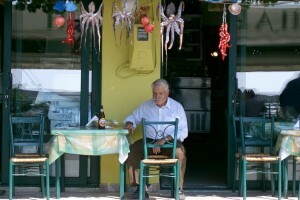 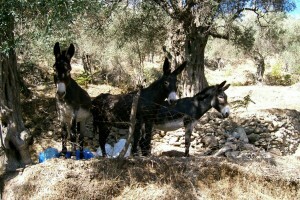 Famous products are olive oil, ouzo, cheese and fish. 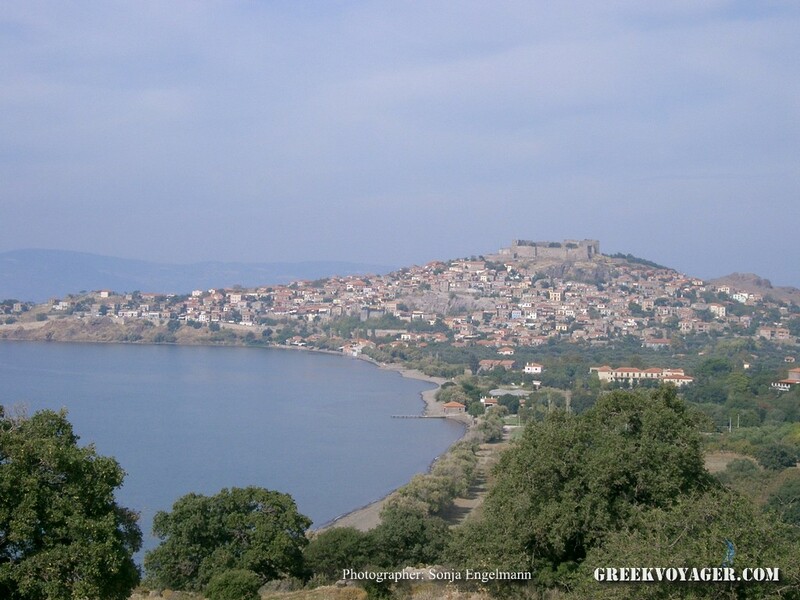 According to mythology, the island took its name from Lesbos, grandson of the god of the winds Aeolus. 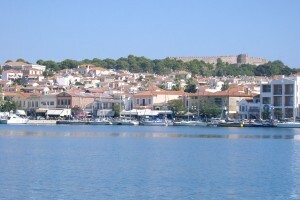 The first settlers came from the city of Argos. 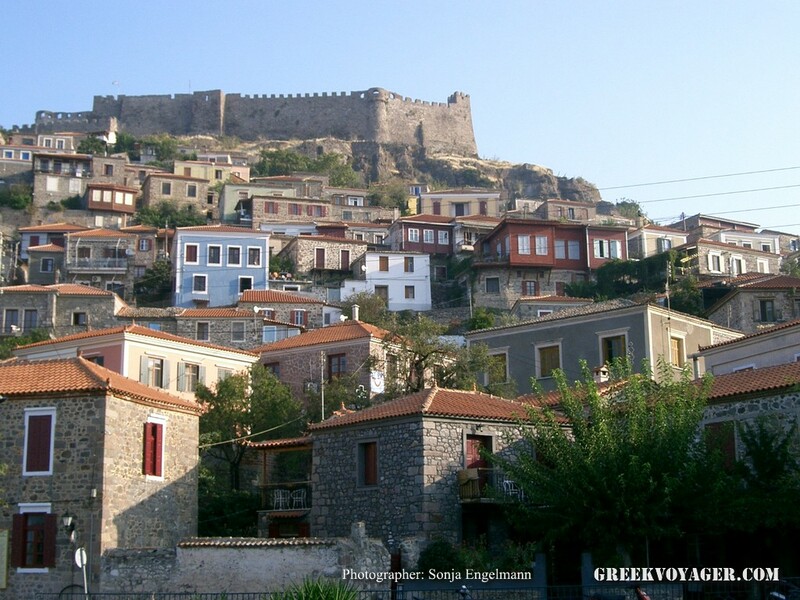 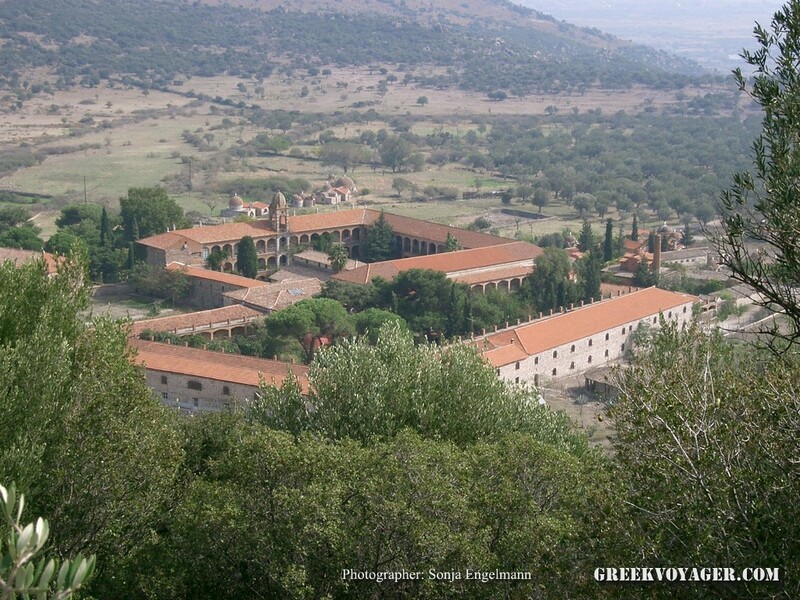 It had five main cities – Andissa, Eressos, Methymna, Mytilene and Pyrrha. 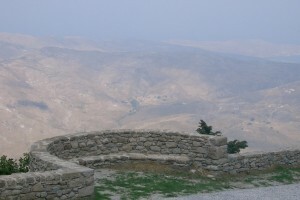 Along with Kyme in Asia Minor, were the most important Aeolian centers. 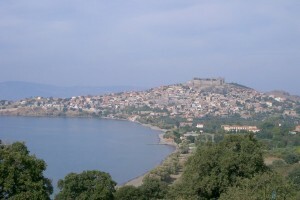 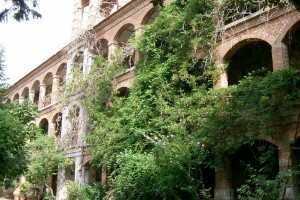 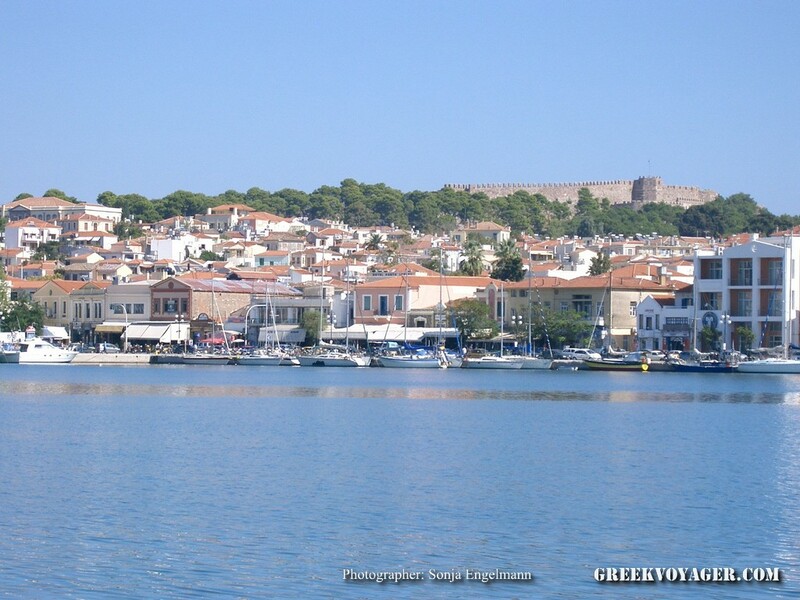 Over time Mytilene became the most important city. 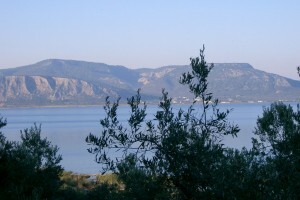 After the 7th century BC, starting with the governance of Pittacus, one of the sages of ancient Greece, flourished and gave birth to major personalities such as Sappho and Alcaeus. 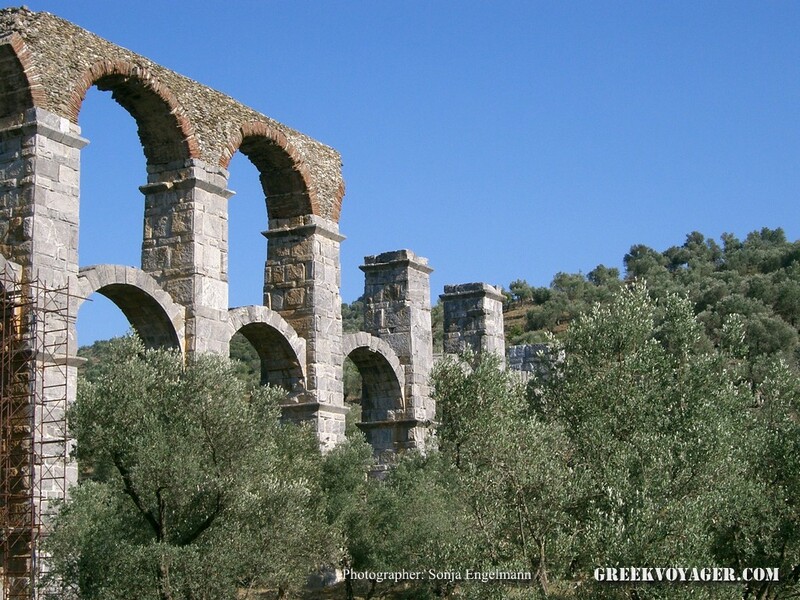 In 527 BC it was conquered by the Persians and in 499 participated in the unsuccessful Ionian revolt. 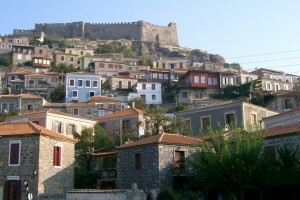 After the end of the Persian Wars in 479, it allied with the Athenians. 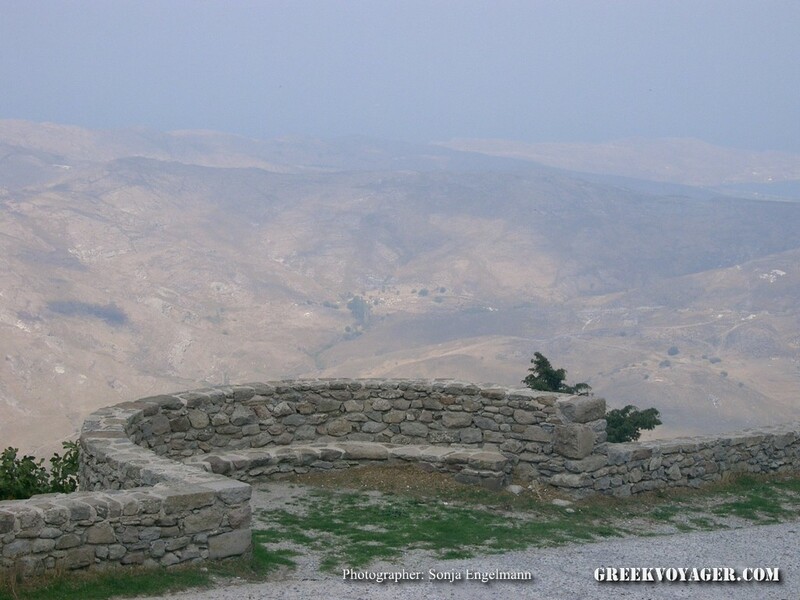 Until the mid-4th century BC was under the rule of the Athenians or the Spartans. 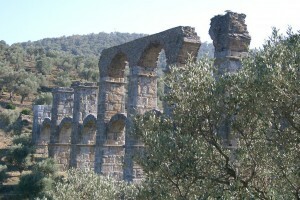 Ally of Rome in 191, was conquered in 88 by the Romans and later became autonomous. 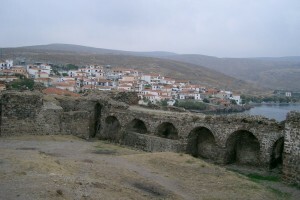 After the 8th century AD, it experienced invasions of barbarians and Saracens. 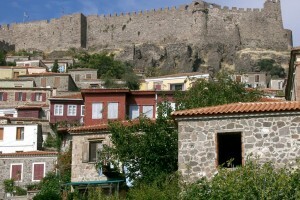 In 1128 the Venetians came, in 1204 the Franks and in 1261 again the Byzantines. 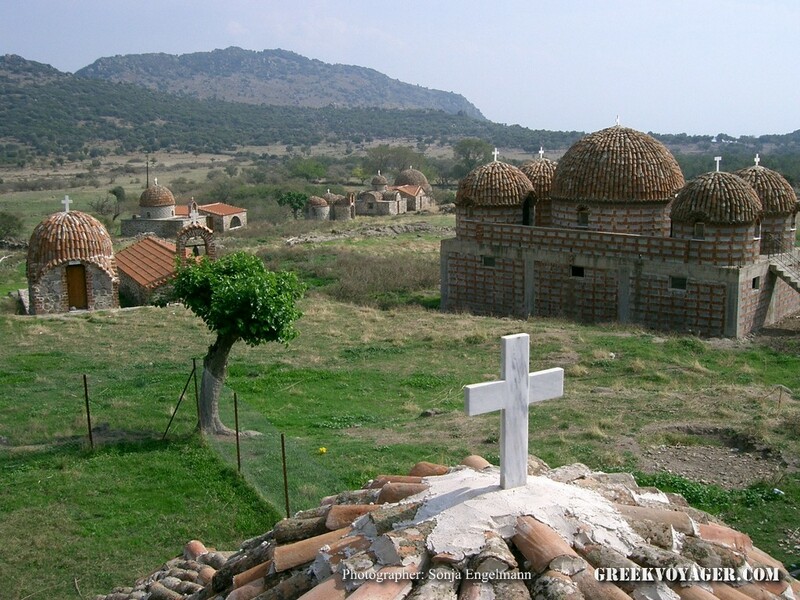 Then it became a place of exile for dignitaries fallen into disgrace. 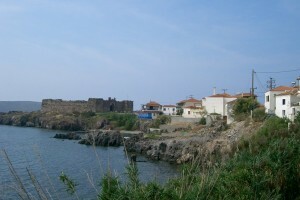 In 1335 it was ceded to Francis Gateluzo from Genoa and in 1462 was conquered by the Turks and experienced raids by Venetians, French, Knights Hospitallers and Saracens. 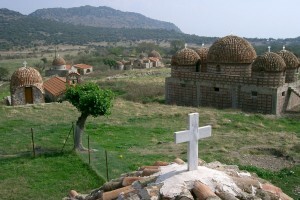 It was liberated on December 1, 1912.